Holiday Blessings to all of you! I’ve been so excited to share this with you, but I had to wait until my mother opened her Christmas gifts. 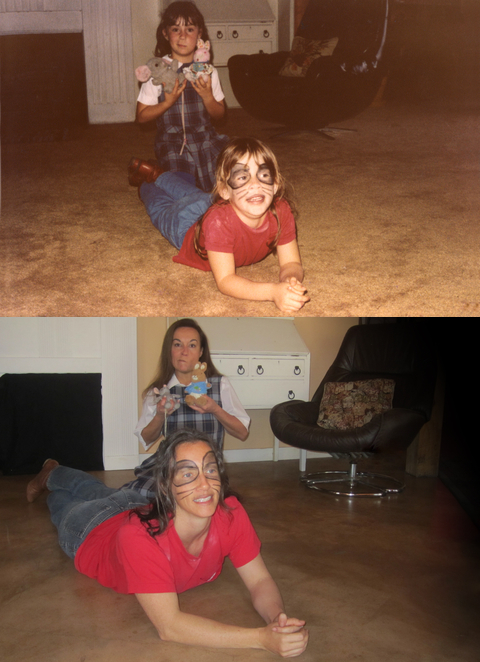 My sister and I recreated a picture from ~30+ years ago with as many details as possible. We are very proud of it! I still had the old desk. We borrowed the chair from a friend. I made a faux fireplace. My sister found the school girl outfit on ebay. And, of course, I had to get myself some new boots! What do you think?